The San Diego County Water Authority offered Thursday to end a decade-long rate dispute with the Metropolitan Water District in Los Angeles. 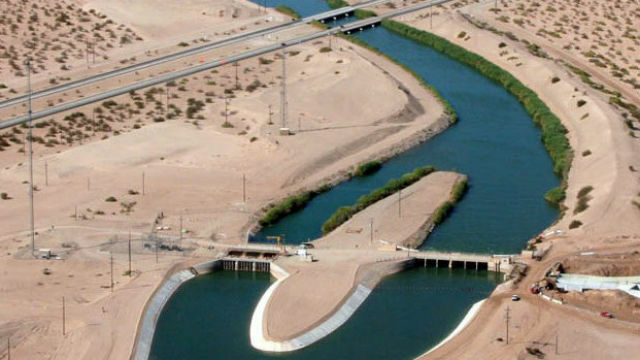 Board Chair Jim Madaffer sent a letter to MWD directors outlining a compromise approach to end litigation involving billions of dollars charged to deliver independent water supplies from the Colorado River to San Diego. “Concluding all pending court cases is in the best interest of everyone involved, and it would allow us to begin a new era of collaboration on other important regional and state issues,” said Madaffer, who started his tenure as chair on Oct. 1. “I hope MWD will embrace this gesture of good faith to seek settlement, and that we can do so in an expeditious and fair manner,” he added. The San Diego authority won several significant issues in two cases covering MWD’s rates for 2011-2014, but the courts allowed MWD to continue the charges. More than 20 years ago the San Diego authority began lessening its reliance on the MWD by securing independent water supplies from the Colorado River. However, that water could only be delivered via pipelines operated by MWD. The Water Authority filed suit in 2010 seeking to invalidate MWD’s rates, and then filed additional suits in 2012, 2014, 2016 and 2018. Earlier this year, the San Diego authority sided with the MWD in conditionally approving Gov. Jerry Brown’s $17 billion delta tunnels project to connect water systems in Northern and Southern California.